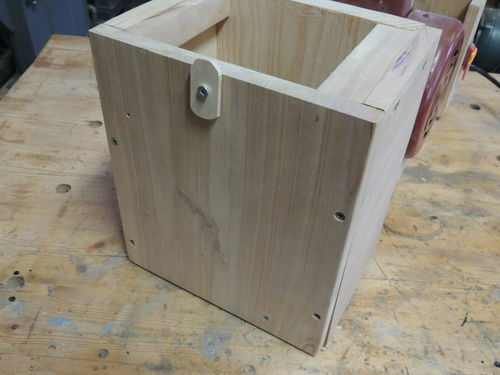 I hadn't tried an upright bandsaw box yet so figured I'd give it a try. This was supposed to be a christmas gift but obviously, as I just finished it, is very, very late. This gift is for a friend who's makeup and nails and hair are always done perfectly so I actually bought some fancy iridescent enamel nail polish to use for the dog print inlays. I haven't opened a bottle of nail polish in well over 20 years lol. I carved the paw prints with my dremel after penciling them on to the box lid. It's all mahogany, 7×4x3, and finished with 7 or 8 or maybe more coats wipe on semi-gloss poly. It was a fun project so I think I'd like to make more to use up that nail polish!Thanks for looking! Please excuse the dust inside the box! So this is my first take at a tea box, I made it for my husband. The box is maple, lid and legs are canary wood and the splines, bottom and handle are jatoba. The dividers are maple and cherry and I mortised the maple pieces into the box for stability. 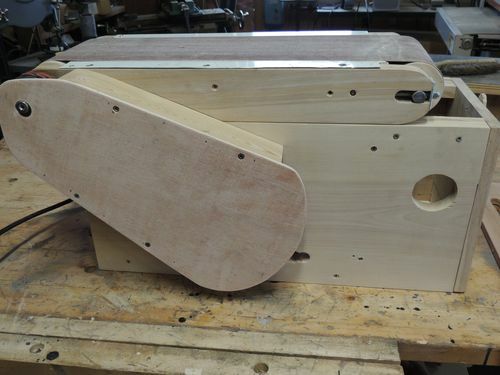 I have done this type of leg in the past but hadn't done a lid in this manner so I wanted to see if I could pre-finish all the interior pieces, glue it all together and use a flush trim bit to flush up the exterior of the lid. Also wanted some more practice at hand mortising hinges (these are the cheaper Rockler stop-hinges which I think are really good for the price) I drilled for the hinges just a tad off this time. I used a wipe-on poly but if I ever do this type of leg again, I will definitely either just oil or spray. Overall, I'm fairly happy with it and my husband loves it so all is good :)Thanks for looking! Have been spending quite abit of time getting this project up and running. 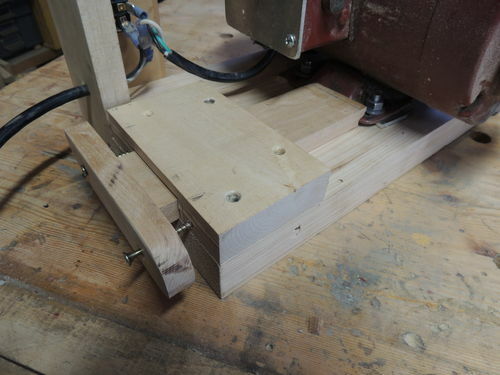 I first featured the sanding unit attached to the wood lathe some time ago. 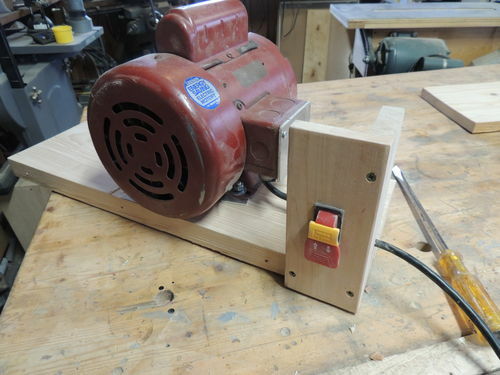 I have found this sanding unit my most used sanding station. Part 2 https://www.youtube.com/watch?v=uggb_9YtERc&t=1sI also worked on mounting the second one in its own cabinet and motor. This is completely explained and assembled in this video. 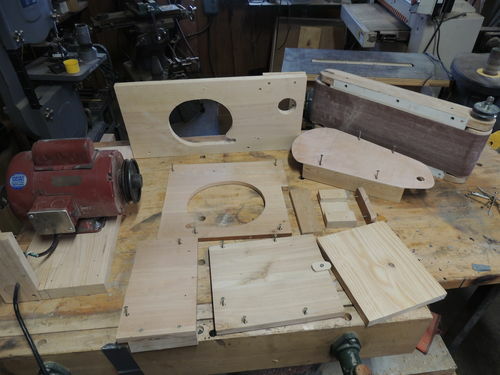 https://www.youtube.com/watch?v=SsyN0U6yhXo&t=5sI will include in this post pictures of the cabinet as I assembled it. Very simple to build, compact and works well. This unit was designed as I went along, solving problems as need arised. I am happy with the result. 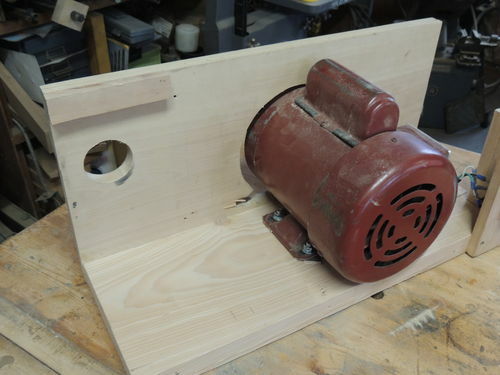 Motor mounted on a plank with switch Pulley side attached Belt tightening mechanism Put together dust collection box Screw sanding unit to the top of the back Use four screws to attach the front. This can be taken on and off to change the sanding belt. 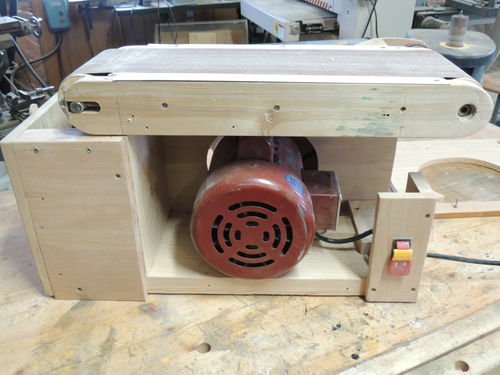 Do not forget and belt guard, and then make some dust hoods, Whether you power this sanding unit with your lathe or its own motor, you will find it one of your most used machines. 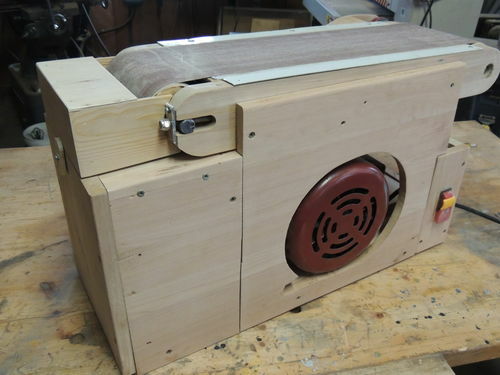 What makes the sanding unit so easy to make is because of the sanding belt tightening and tracking method. The front roller has the bearings mounted in the roller. No complicated tightening and tracking mechanism. Slower speeds make it quiet and easy to use.Thanks for looking and comments appreciated.Need to start another project when it warms up, have had a few days down to Minus 30 Centigrade, and the shop is not warming up enough to get my blood flowing. At least I got the computer work done in the house.